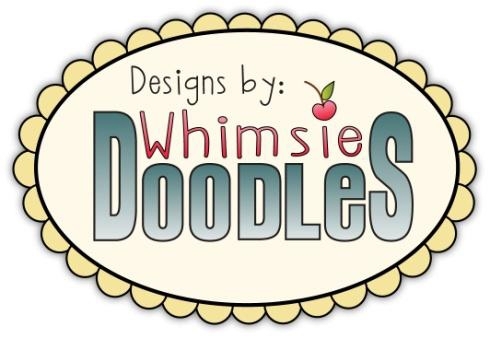 And this week we're being sponsored by Whimsie Doodles. 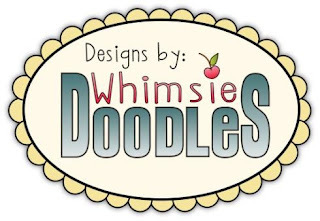 The DT were generously given some images to play with, and in addition to sponsoring our prize, Whimsie Doodles are offering you a 10% discount! Head over to the RCC post to get the discount code and link up your creation. 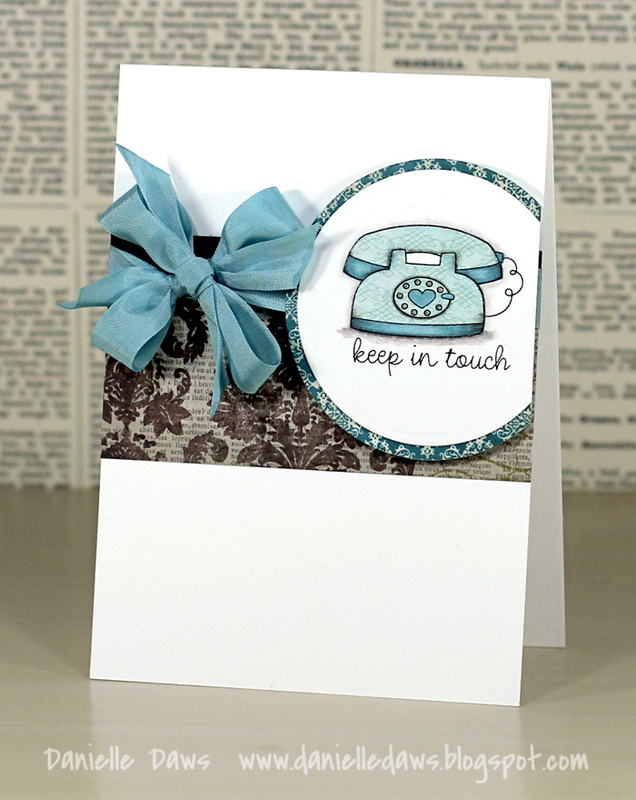 And here's the card I made using this adorable phone digi stamp. I printed it on white card stock and again on a piece of patterned paper from My Minds Eye Lost & Found Breeze, then paper pieced it together. Then I went in with some Prismacolor Pencils and added some shading. Some Scarab Vintage Seam Binding from The Ribbon Carousel finished it off perfectly. I quite like how this card turned out. Sadly, my CAS cards take FAR longer than it would seem to make! Gorgeous card! I love your use of white space and paper piecing. Love this!!! 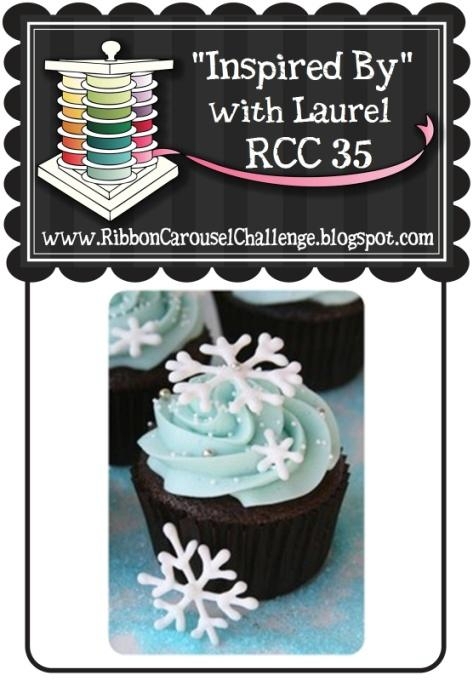 The layout is awesome and your paper piecing is fantastic!! Great card. OH MY! This is beautiful! LOVE the papers and that beautiful white space!! And my fav is that seam binding--I MUST get me a whole spool of it! THANKS for enabling:) BEAUTIFUL card! Gorgeous! Love the image and the papers. I really love the papers you used and they go so well together! This card is sooo pretty!